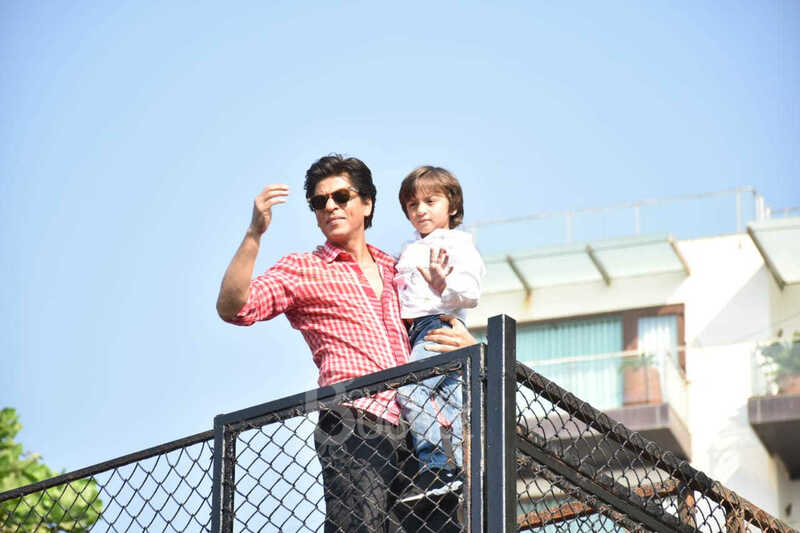 Shah Rukh Khan is celebrating his 53rd birthday and like each year fans have gathered outside his home in Mumbai to wish him on his special day. 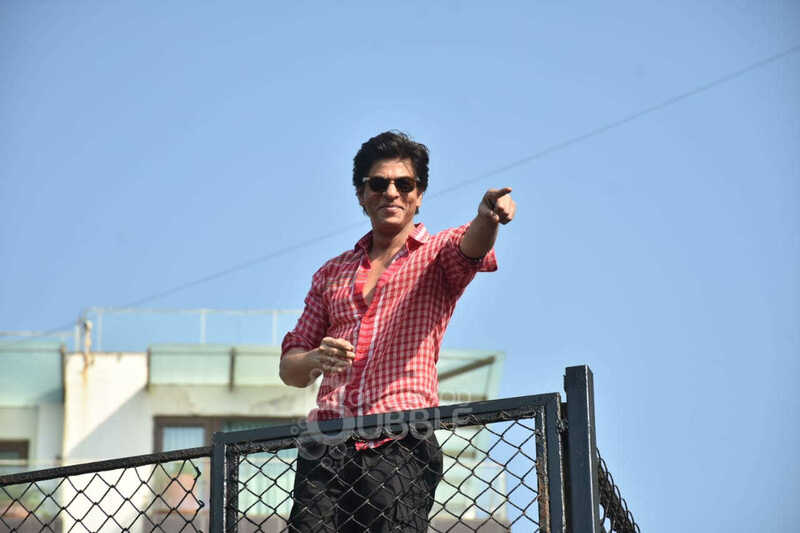 The 'Raees' star stepped out to acknowledge the unconditional love bestowed on him by his die-hard fans and also thanked them. 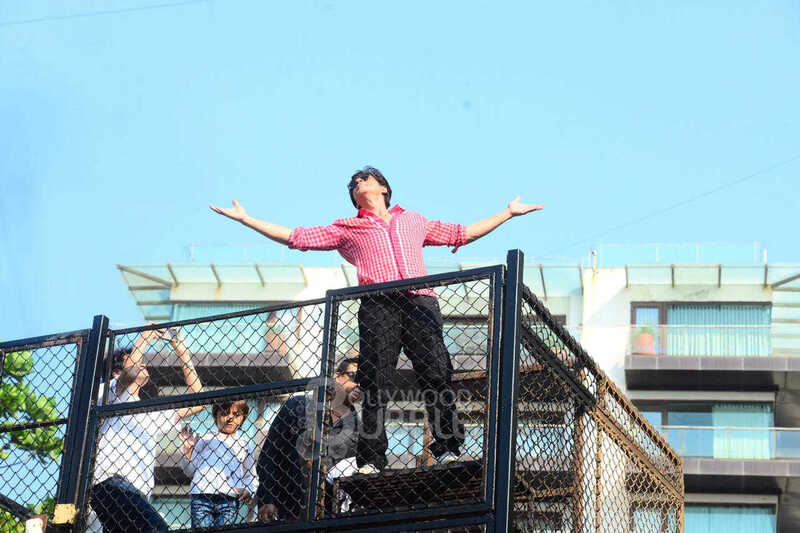 The superstar looked dashing in a red shirt as he struck his famous pose for his fans who could not stop themselves from chanting his name like a mantra. 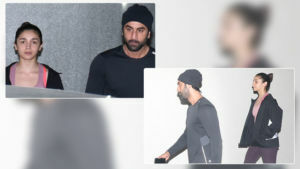 He thanked God and posted today, "I believe ownership makes one very small. 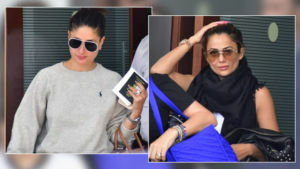 I believe I am the luckiest man that I no longer own my Birthday also...it belongs to all these beautiful ppl who love me and my family so much. Thank you God." 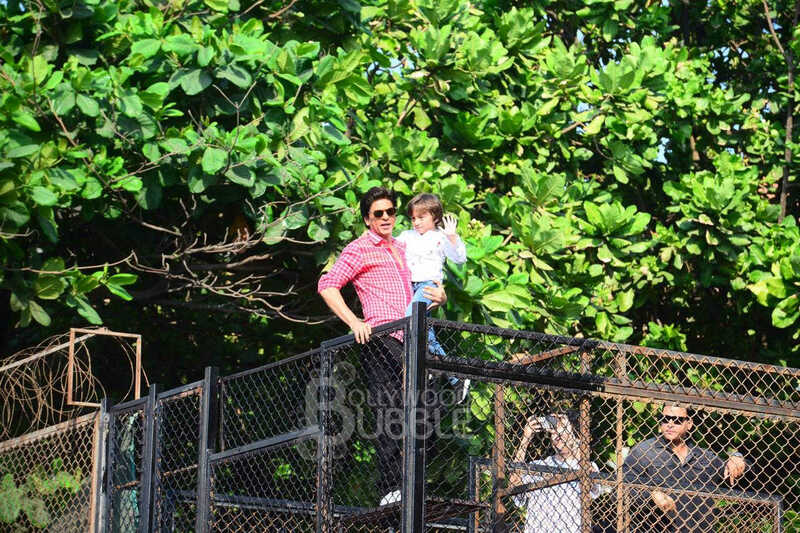 SRK was soon joined by his youngest son AbRam Khan. 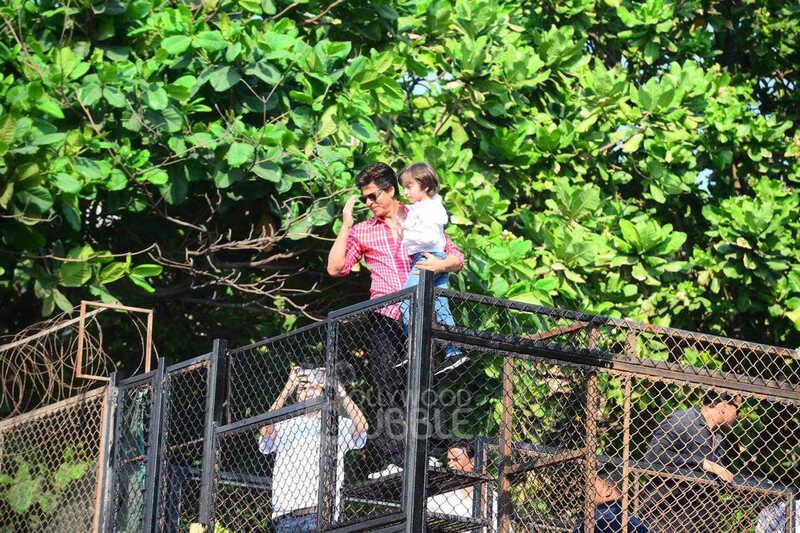 Father and son duo were seen waving at the fans together. 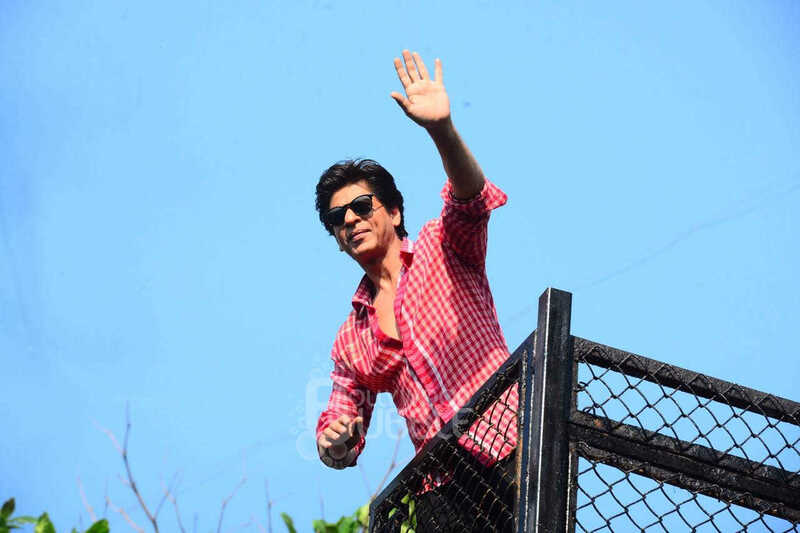 The superstar who will be unveiling the trailer of his film 'Zero' soon bid farewell to his fans .